ATTENTION: DEVELOPERS AND HORSE LOVERS! One of the most beautiful properties left in Franklin! 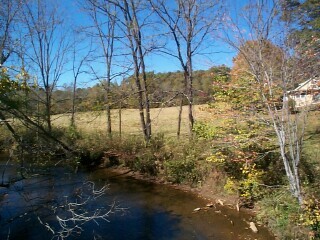 41+/- acres, with 2800'+/- on bold, trout filled, Cartoogechaye Creek. 2 separate pastures, make up about 1/2 of the property, the other half, is wooded, very gently laying land, with numerous building sites and long range views. 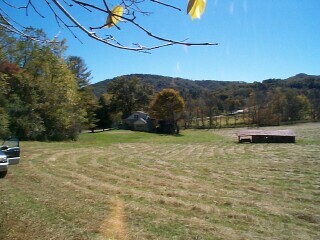 This would be either the perfect Private Estate, Farm, or great Development tract. 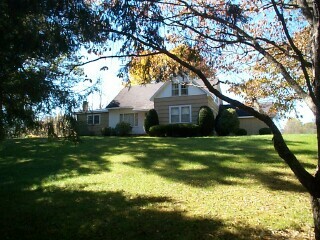 Only 1 mile from 64W, 2 miles from Franklin, paved road access, unrestricted and priced reduced from $1,275,000. Call Robin for more information! Beautiful 1.89 acres, with small stream, and long range views, in brand new subdivision! 3 bedroom septic permit on file, good until 2012. New paved roads, underground utilities, nice hardwoods, gently laying land, new survey lines and more! Great flora and fauna too. Sensible deed restrictions.